Most of us have a narrow definition of what it means to have a disability; it’s a label often imposed from the outside in. Emery has cerebral palsy and, though he is commonly labeled “disabled,” I have never met a dancer with a less disabled view of himself. There was no clutter, no “Why?” nor “What is it all for?” He dances because he lives. Yes, it can be that simple. Some friends took me to a DanceAbility workshop about 27 years ago, and I guess I fell into it. I did not want to go. I met Alito [the founder of DanceAbility] at a stop sign. He tried to recruit me then and there, and I thought he was crazy. But my friends said, “Come on, let’s try it out.” And that was it. When I see people find themselves while I’m dancing, that’s when I really like to dance. One time when we were performing at a school, a kid came up while we were dancing and started talking to us. We kept on dancing while we talked to him. After it was over, the teacher came up to us and said that was the first time she had seen the student talk. It’s all the time. Nonstop. How have the reasons for why you dance evolved over time? Before I danced, I was a lobbyist for disabled rights. It was really hard to make people understand me. When I found dance, people understood me right away. That’s why I stopped lobbying and concentrated on dancing. I like to communicate with people, and dance is a good way to do that. What does the idea of success mean to you? When do you feel most successful? Connie adds: When Emery is in front of a group of people and can teach them how to express themselves and communicate with the people around them through dance, and find their own voice through dance, that’s what he finds a success. It was the same thing when he worked as a lobbyist; he was helping people to find their rights and legal voices. Now he does it through dance communication. People tell me I’m famous, but I say, “Whatever.” People say they read about me all over, even in textbooks, but I have a hard time believing it. I don’t really think about that stuff. I don’t need the fame. That’s not what I’m doing. I just want to help people. Connie adds: Emery performed at the Shakespeare Festival this year down in Ashland. Sitting in the front row was a boy with cerebral palsy. He was about 10 years old or so. When the kid saw Emery on stage dancing, his face lit up. I was standing behind the stage, and I was watching the boy. He was dancing along with Emery from his seat. After the show, Emery reached out to the kid and brought him up on stage. For this kid, it was the first time he had seen people in his same condition out there so publicly, communicating. The mom and caregiver spent half an hour talking to Emery. It wasn’t just a gift for the boy; it was a gift for the mom and caregiver as well. I believe they will approach cerebral palsy differently after meeting with Emery, talking with him, and seeing him dance. 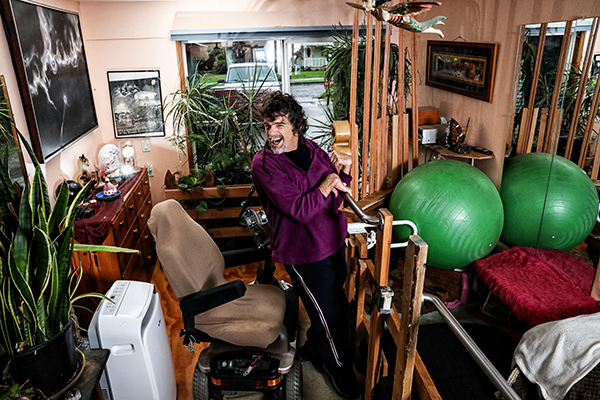 They can see now there is a huge future for people with cerebral palsy. Emery is 57 and still going strong. And that’s why he performs, because he wants people to know there’s no difference between him and a professional dancer. Both have their voices, both have their movement, and both want to live out and love their life. What advice would you give to an aspiring dancer? Try. We don’t think about how good or bad we are. We just try. And if we fall down, we get up. And have fun. I say that at the beginning of every performance. If we can’t have fun, why do it? 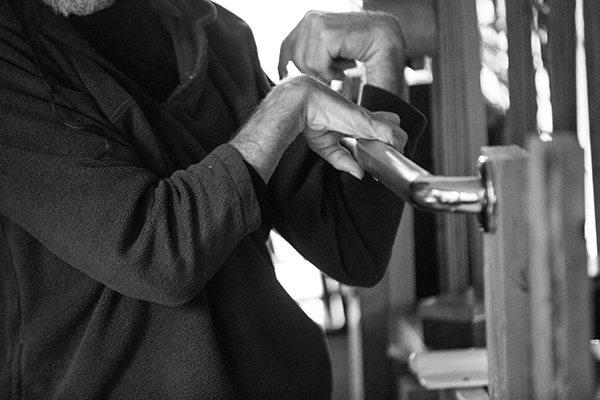 Emery Blackwell is a dancer, choreographer, musician, composer and teacher. 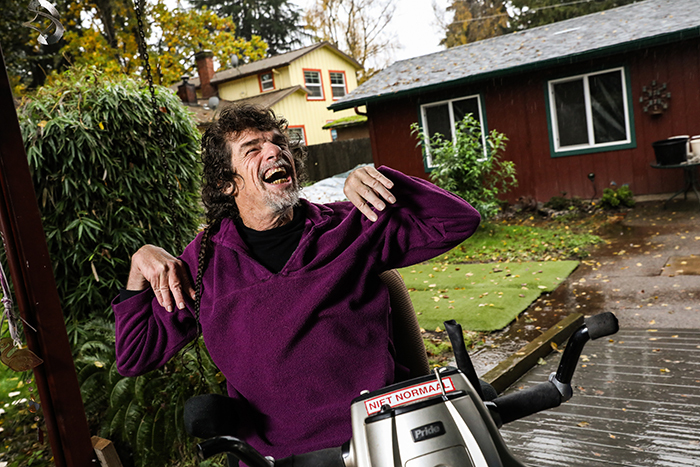 He has cerebral palsy and, as a member and president of Oregonians for Independent Living, was instrumental in the passage of a bill guaranteeing every Oregonian with a disability the right to live in the community instead of in a nursing home or institutionalized setting. 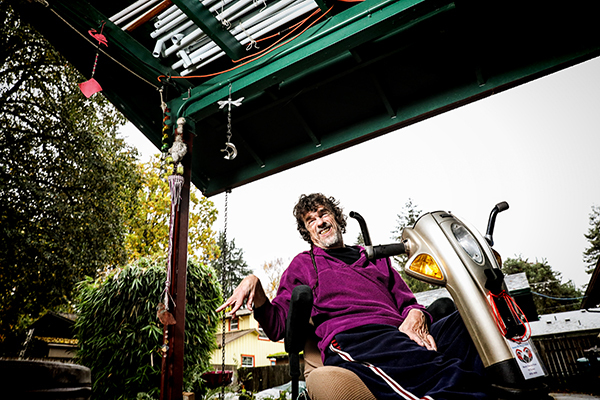 Emery has worked with Senior and Disabled Services, the Department of Human Resources, Lane Council of Government’s Senior Services Advisory Board, and the Oregon Research Institute. Emery has danced with DanceAbility founder Alito Alessi since 1989. In addition to performing, he has taught DanceAbility workshops throughout the United States, Europe and Latin America.